Some gratis copies of 'The Treasure of Captain Claw' written by Jonathan Emmett arrived in the post today. It's always a moment loaded with equal amounts of excitement and fear. Fortunately, there was nothing to worry about in terms of reproduction and I am pretty pleased with the way this has turned out. 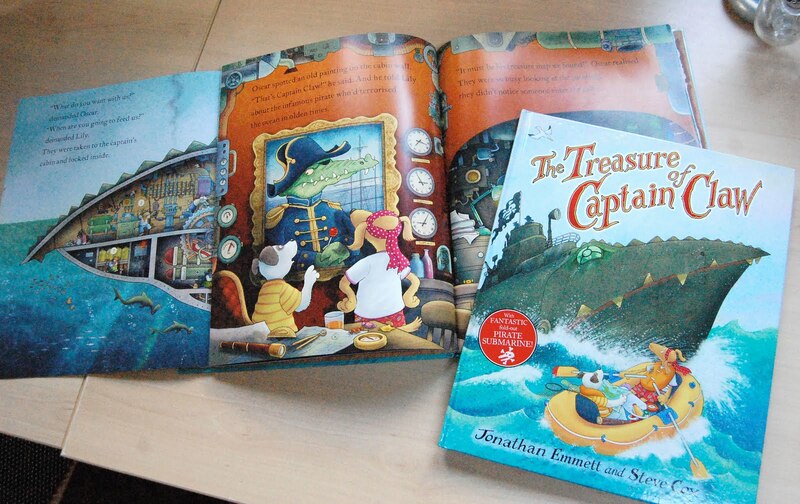 The showpiece in the book has to be the fold-out cross section of the pirate submarine. Maybe I'll do a sneak preview of that sometime soon. This was a follow-up in terms of it being the second picture book I've collaborated with Jonathan on. The previous tome being 'Pigs Might Fly' published by Puffin. 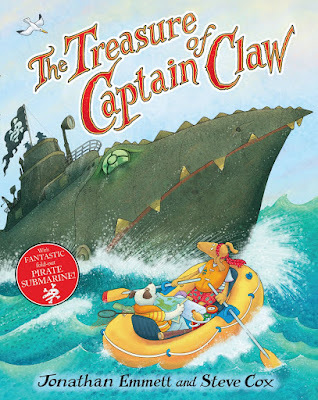 The Treasure of Captain Claw is going to be published by Orchard Books in May 2011.